June is the month when wild roses bloom on roadways and country lanes and their sweet fragrance wafts through the air. Their robust pink color bursts forth as the longest days of the year arrive. 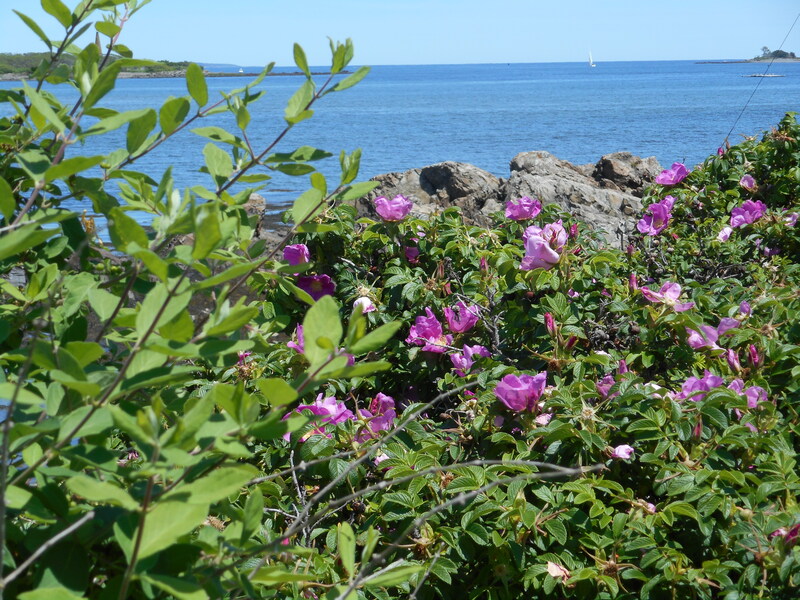 Wild roses seem to thrive near the seashore. A trip to any beach is sure to pass clusters of the fragrant blossoms. 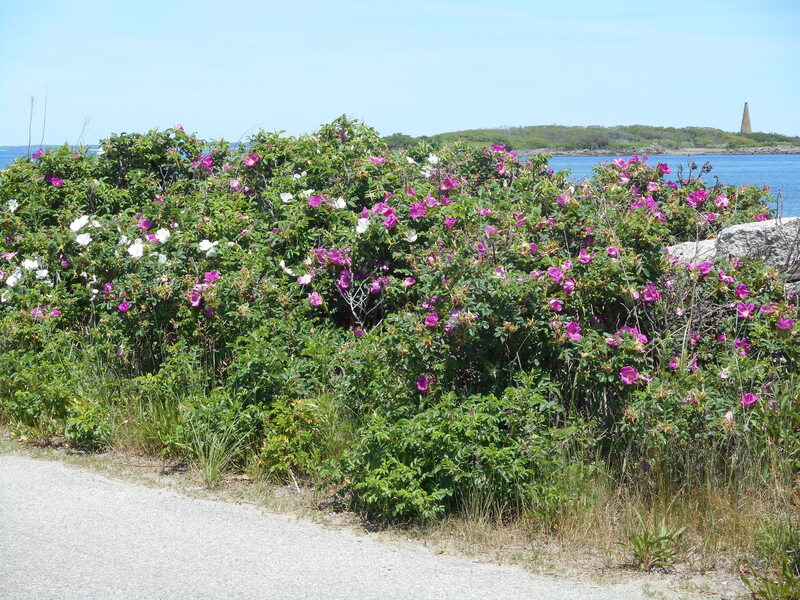 The wild roses that proliferate here are also known as rugosa roses and beach roses. After the blossoms pass, the fruit, known as rose hips, begins to develop. In late summer after they ripen, the bright red hips can be used in teas, jams, jellies, soaps and other applications. 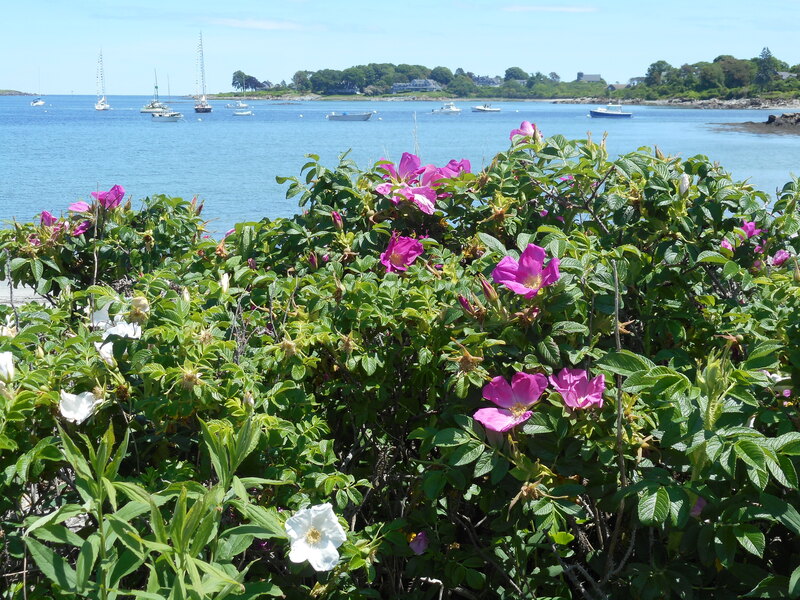 On a recent day we drove to Hills Beach in Biddeford and found the most extensive display of wild roses I have ever seen. It was a pure delight to drive along a road bordered by both rose and white-colored wild roses. Stands of roses in the foreground of a brilliant blue ocean created spectacular oceanscapes. What a beautiful reward for enduring the weeks of cold and dirty black snowbanks we endured this past winter. We are truly blessed to live near so much beauty that can be enjoyed free of charge. Now is the time to make at least one excursion to see the wild roses of June. Our drive took us through Biddeford to Route 9 which we followed until the left turn toward the University of New England. An interesting sidelight of the trip is to see how this small college has emerged as a thriving university campus. A bonus: in addition to the wild roses, there are many houses along this road that have very beautiful flower gardens. 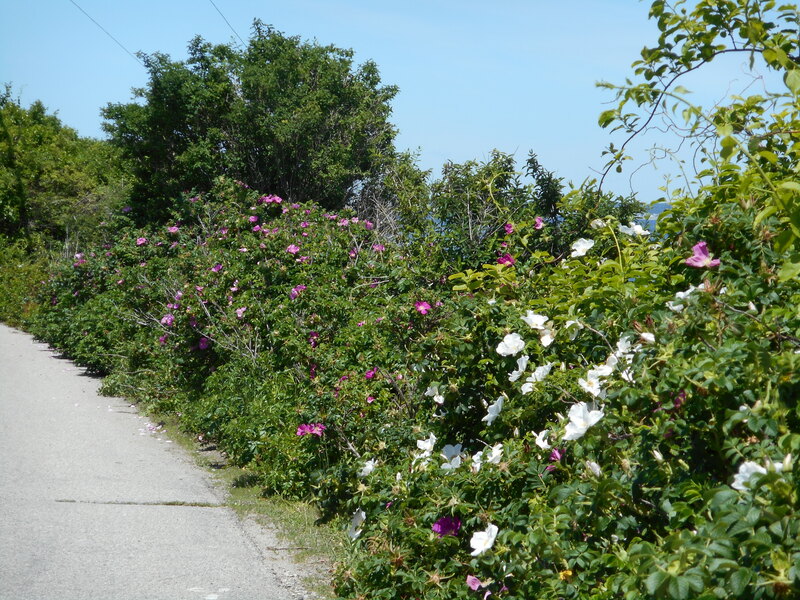 Continue travelling down the Hills Beach Road to the end and enjoy the wild roses of June along the way. 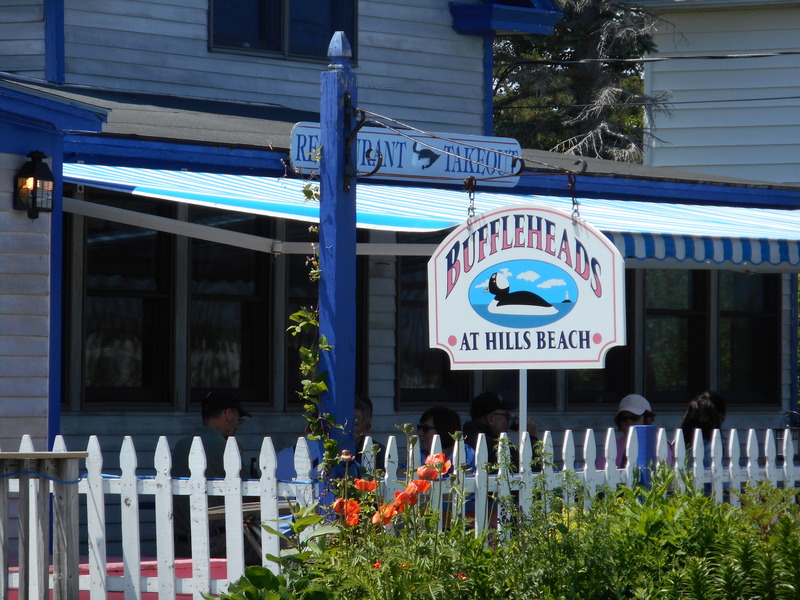 If the sea air whets your appetite, Buffleheads Restaurant is located on the right side of the road as you travel toward the oceanfront. This charming little restaurant serves lunch from 11:30 to 2:00 pm and then reopens at 5:00 pm for dinner. A visit to Buffleheads is a must visit for us at least once every summer. 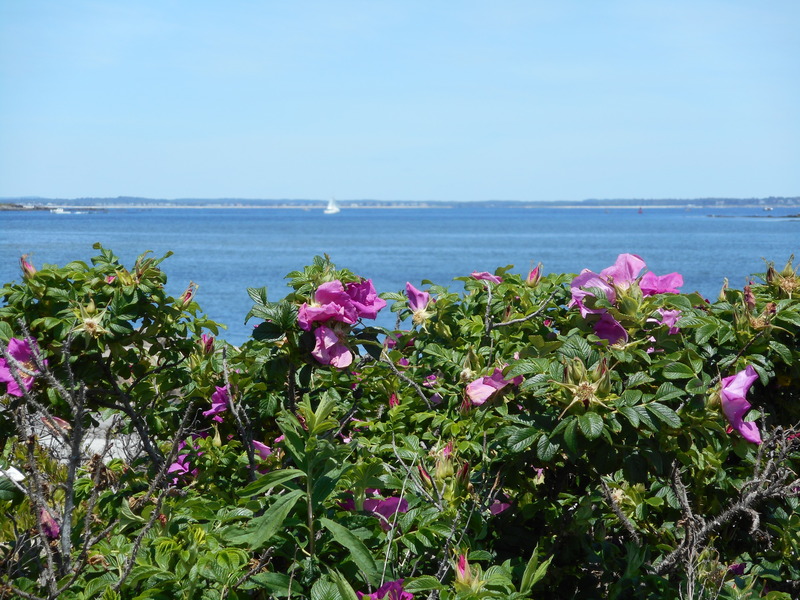 This entry was posted in Maine, Nature and tagged Beach roses, Biddeford, Buffleheads Restaurant, Hills Beach, Ocean scapes, Rugosa, Wild roses. Bookmark the permalink.